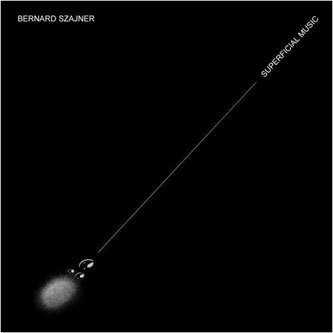 The compellingly odd Bernard Szajner released this album in 1981, and history has framed it as one of the more interesting alcoves of over-inflated Euro-synth bunkum. The droney tone that presides over much of this album possibly makes it easier to swallow than this week's other Szajner reissue (the quite surreal experimental pop album Some Deaths Take Forever), at least to modern ears, but thankfully the eccentricities are still abundantly clear. Take for example the icy discord of three-part suite 'Oswiecim': it's "an imagining of the Holocaust informed by the experience of his own family" which makes for slightly queasy listening given the inevitably abstract, seemingly unrelated musical direction (which devoid of any intended meaning sounds great, incidentally). Only the titles give clues to the subject matter, and the closing part, 'De-termination' seems like an inappropriate pun. Still, for all its strange, time-warped aesthetics Superficial Music sounds prescient of electronic music trends that wouldn't really take hold for years to come, and the album (including bonus tracks for this reissue) is certainly worthy of any electronic music fan's investigation.